However -- much detail has been preserved in the larger barrow: structural timbers in carbonized form, postholes showing the positions of uprights, and the burnt remains of stakes forming internal partitions. These massive posts bracketed a linear 'trough' lined with planks, which would have held the remains of the dead. Professor of archaeology from The University of Manchester Julian Thomas and Dr Keith Ray Herefordshire Council's County Archaeologist, co-directed the excavation. Professor Thomas said: "This find is of huge significance to our understanding of prehistoric life-- so we're absolutely delighted. "It makes a link between the house and a tomb more forcefully than any other investigation that has been ever carried out. "These early Neolithic halls are already extremely rare, but to find them within a long barrow is the discovery of a lifetime." He added: "The mound tells us quite a bit about the people who built it: they sought to memorialize the idea of their community represented by the dwelling. "And by turning it into part of the landscape, it becomes a permanent reminder for generations to come. "Just think of how the burning of the hall could have been seen for miles around, in the large expanse of what is now the border country between England and Wales." 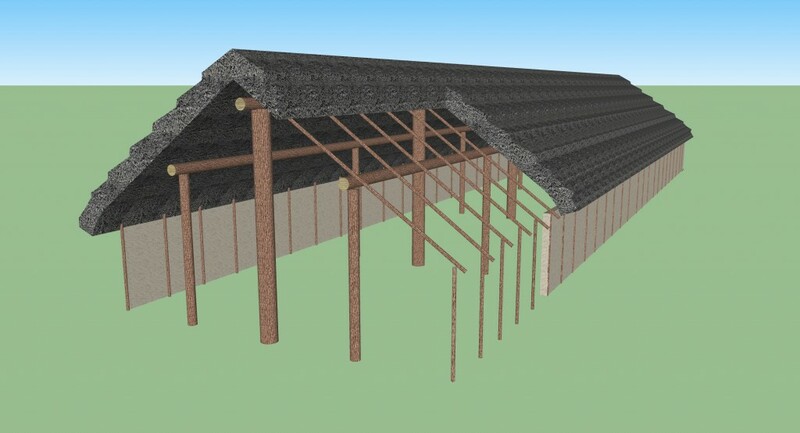 Archaeologists have long speculated that a close relationship existed between houses and tombs in Neolithic Europe, and that 'houses of the dead' amounted to representations of the 'houses of the living'. Dr Ray said: "These subsequent finds show that 1000 years after the hall burial mounds were made, the site is still important to later generations living 200 miles away – a vast distance in Neolithic terms. "The axe and knife may not have been traded, but placed there as part of a ceremony or an ancestral pilgrimage from what is now East Yorkshire. 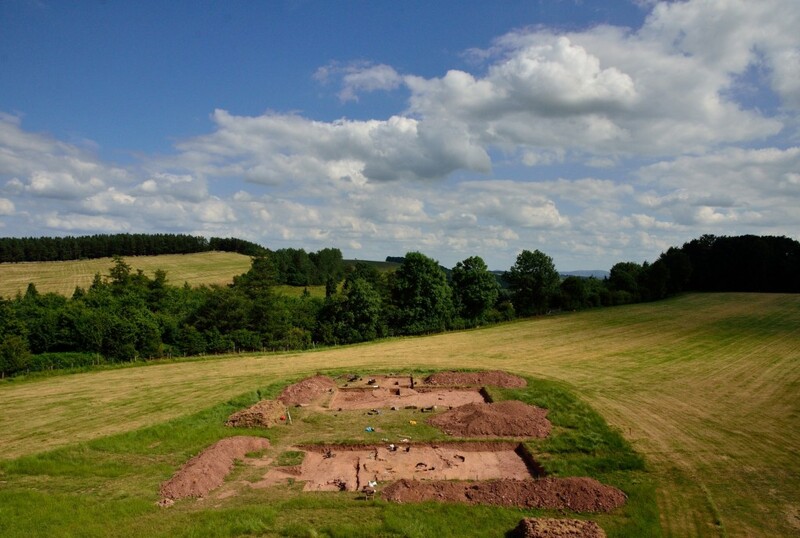 "So we witness an interconnected community linking Herefordshire and East Yorkshire by marriage and by descent 5000 years ago." He added: "In the British context, the Dorstone find is unique and unprecedented. "We were hoping our work with The University of Manchester would help us to give us a clearer picture of the origins of these long barrows- but we were surprised how clearly the story came through. 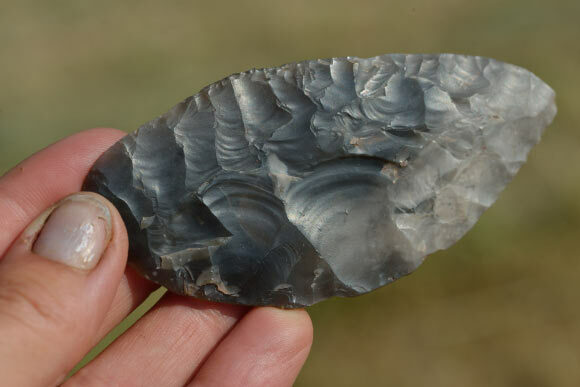 "It's very exciting for us: for 15 years I have been arguing that Herefordshire has something important to say on the national picture of our Neolithic heritage."